How do I use my refreshed sourdough? 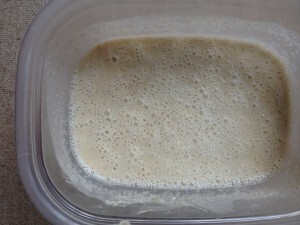 Further to the earlier post about using the float test to ensure your refreshed sourdough starter was ready for use, it's time to talk about how much refreshed sourdough starter you actually use. 1. 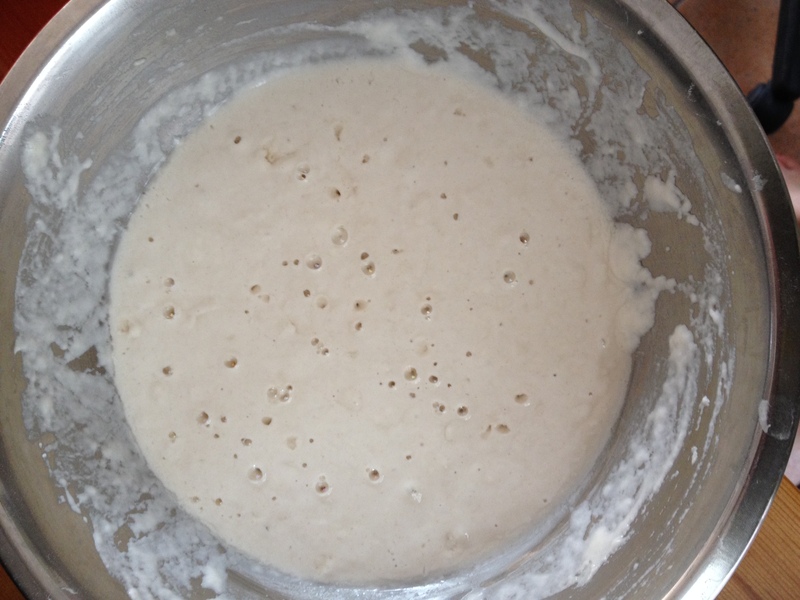 If you don't use enough refreshed starter you dough will not rise as much as it could have done had you used enough. In fact, it may never "get there" and your loaf will be heavy and dense and the dough may well split or burst in the oven while it bakes. 2. If you use too much refreshed starter the dough will not have a great deal of elasticity or strength. The dough may collapse before you get it in the oven (especially if you proof it in a basket - it will flatten significantly) and the crumb may fall away from the crust during baking, leaving a great big void just under the crust. 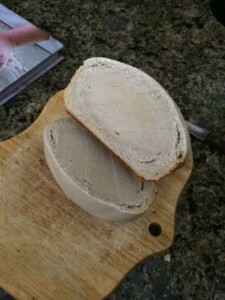 In addition, the crumb of your bread will be gummy and may have small, perfectly round holes throughout opposed to the the big, uneven holes so beloved of many sourdough bakers (who don't want to make sandwiches or spread toast with butter and jam). In extreme cases it will look a bit like custard when you cut into it. The crust will be pale because the sugars in the starter will have been eaten up in the fermentation process and there will not be a high enough "fresh flour" (ie fresh sugar) content to make up for that and to go nice and golden. 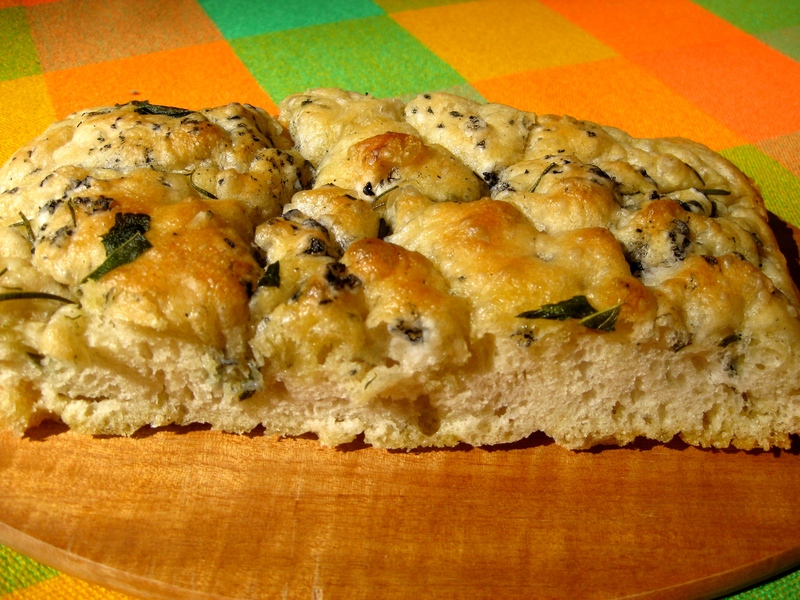 Remember, your refreshed starter contributes yeast, smell, and texture to a dough. It does not contribute strength. Sooooo...how much is enough and how much is too much? 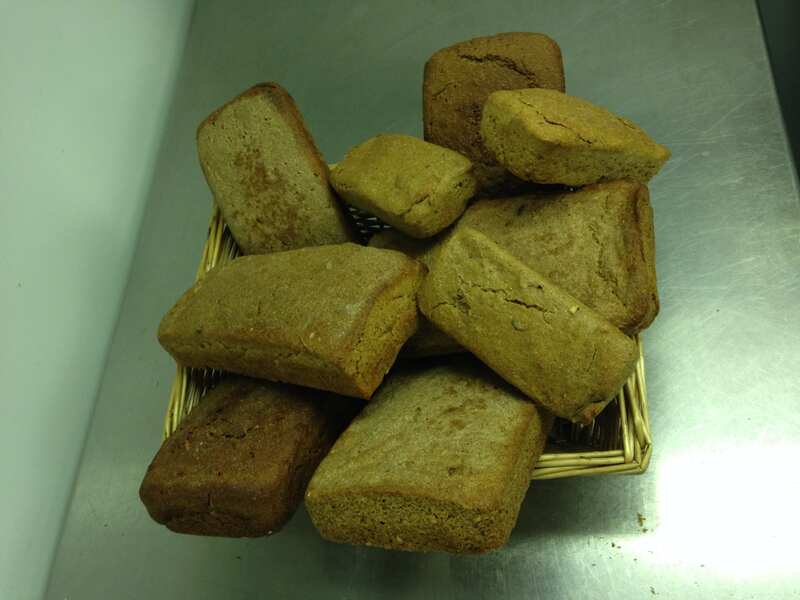 Most recipes that use a rye starter refreshed with rye flour to make 100% rye bread use between 65% and 70% refreshed starter where the % is calculated off the weight of the flour that you use to make the final dough. Most recipes that use a rye starter refreshed with wheat use a lot less - between 30% and 40% of refreshed starter where the % is calculated off the weight of the flour that you use to make the final dough. Most recipes that use a wheat starter or a combined rye and wheat starter refreshed with wheat will use somewhere between 40% and 60% refreshed sourdough starter where the % is calculated off the weight of the flour that you use to make to make the final dough. 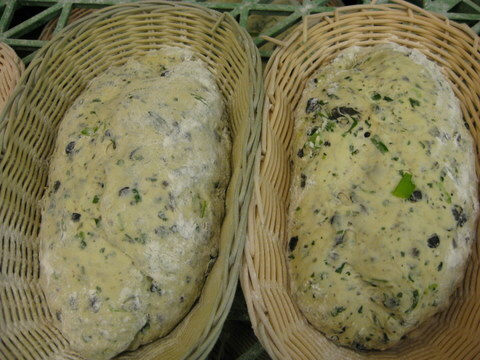 So, you see, the amount of refreshed starter that you use as a % of the final dough that is used to make the bread varies from 30-70% depending on the base grain of the starter and what is used to refresh it. There is no hard and fast rule - use recipes! 6 g salt (2 % of the TOTAL FLOUR WEIGHT which includes all the flour in the weight of base starter used (5 g), the flour used to refresh the base starter (48g) and the flour used to make the dough (240 g)). The main point to take away here is that the amount of refreshed rye starter used is 66% of the weight of the flour used to make the dough. That's quite high. The water content seems quite low until you remember that a rye starter is very wet. The base starter is 66% water and the refreshed sourdough is also 66% water. On a hot day or if you would like your bread to spend more time rising, you can take the 300 g refreshed starter down to as low as 40% (ie 200 g), in which case you reduce the salt accordingly and keep the water constant. If you have read this far, you are really dedicated and I applaud you. The amount of refreshed starter used as a percentage of the total weight of fresh flour vaies from 30-60 % and I think that is what you will find regardless of the recipes you research. 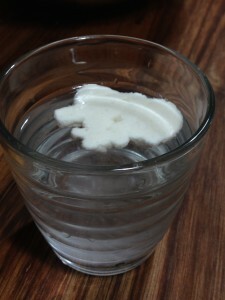 Refreshed starter is a paste in which yeast is trapped. Rye flour is more punchy than wheat flour so, in the main, you use less refreshed starter when you are working with rye. But then again.....maybe not! The point is that recipes vary according to style, nationality, base grain(s) of the starter, refreshment grain(s), and base grain(s) of the final dough. 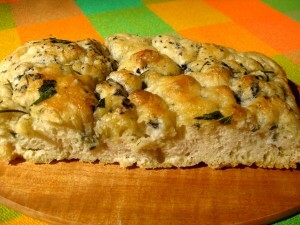 OK, there are a lot of variables which is why baking bread with natural yeast is so FUN! (Repeat after me: Boy! This is fun! More toast! A chance to get it even more perfect tomorrow!). Plenty of bread to make! Seriously, other than 100% rye which is as easy as falling off a log (especially if you are German), it took me years to get a consistent product and, when I ski off piste without a recipe (the norm when I am writing books or using up stuff or simply experimenting) I still have a lot of hilariously ugly loaves which we turn into toast. Next post: holes. To have holes. To not have holes. How to get holes. How to avoid holes. Those are the questions. Want to learn more about baking sourdough bread? 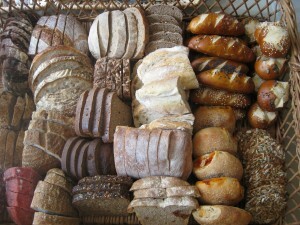 Come and take a class and let us demystify sourdough bread for you. Jane Mason's latest book, Perfecting Sourdough will be published on 1 May by Quarto. Hi. I've just discovered your website which has some really helpful tips (e.g. 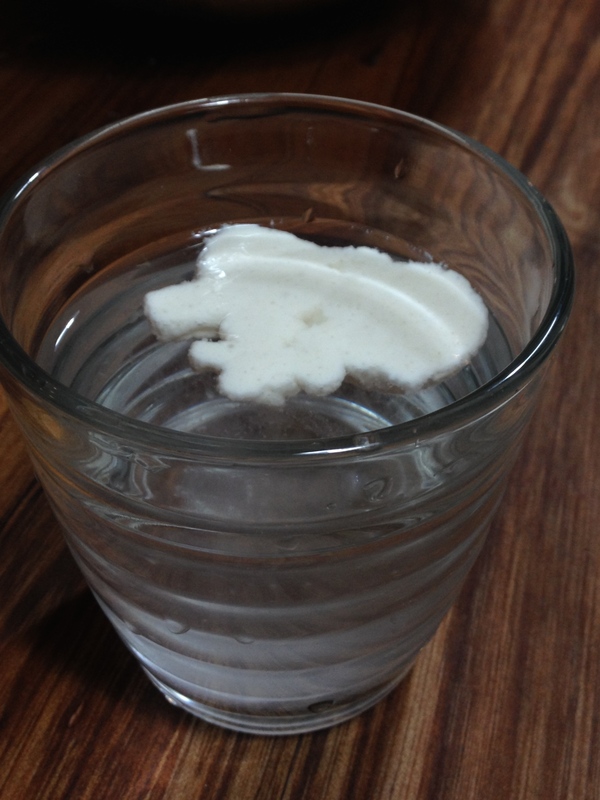 the float test). I've only recently started baking bread and am attempting to make spelt sourdough bread but have ended up throwing away just as many loaves as I've eaten! I've tried using both wholemeal spelt and also a mixture of white and wholemeal spelt. The results are varied but more often than not, I end up throwing the loaf away as it is dense and inedible. I live in Lyme Regis and would come on one of your courses but it doesn't look like you run any in this area. Any hints/tips (or a recipe possibly) would be very gratefully received. Many thanks, Sue. it sounds completely self service to get you to buy my book (Perfecting Sourdough) but I don't earn royalties so it is not!!!!! That is a great resource as the facebook group using it to improve their baking skills (Baking Our Way Through Perfecting Sourdough). Spelt sourdough starter is really hard to deal with. It's punchy and fussy and can be bitter. 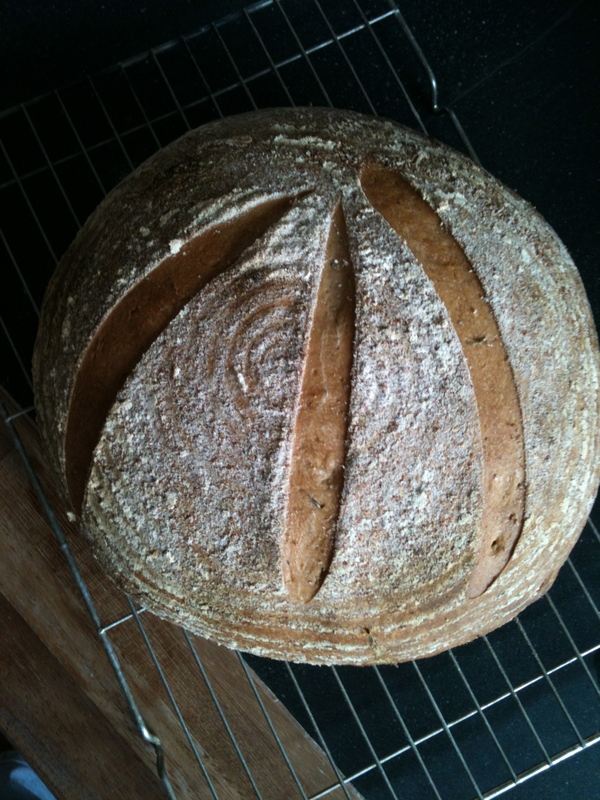 Far easier to use a rye starter to bake your spelt loaf. Would you consider that? let me know and I can throw a recipe your way.